I haven’t been active on the craft market scene and I have no new art projects to work on for the shop, so I have been spending my time using social media to promote The Nancydraws Shop. There is always something new to learn in this ever-changing field, so I thought I’d share some of the resources I have been using. Please share your own resources in the comments, I’m hungry for more! Maker-marketing blogger Andreea Ayers and Melissa Camilleri, of Compliment, presented a webinar, “How to Take Advantage of Instagram’s New Algorithm” on April 6 and the replay is only available for a couple of days, better go watch it now! As of this writing, the new algorithm was not in play, but I think the main point of the webinar was to improve your Instagram presence now so that you go into the “new era” well-connected to your followers. Melissa offered numerous great tips about improving engagement with your fans and customers, branding, and building lasting relationships with your buyers or clients. I just started a second Instagram account exclusively for my artwork and Etsy shop @thenancydrawsshop and I’m excited to test out some of Melissa’s tips there. Melissa is also offering a 21-Day Instagram optimization class that starts on April 18. Hootsuite, mostly known for its social media dashboard, offers a collection of learning videos that are a great resource to better understand the planning and strategy behind a strong social media campaign. I am used to having a goal and general plan in mind as I roll out my own campaigns, but it is helpful to know how the pros handle it for their clients. There are also videos to introduce you to the basics of social media marketing if you are new to this mode of communicating with customers. At the end of each section, there is a brief quiz to solidify what you’ve learned and downloadable worksheets so you can begin optimizing your social media outlets and drafting campaigns with your new marketing skills! The musical intros get old after a while, but I like how the concepts are presented in nice, bite-sized chunks that are easy to learn and remember. 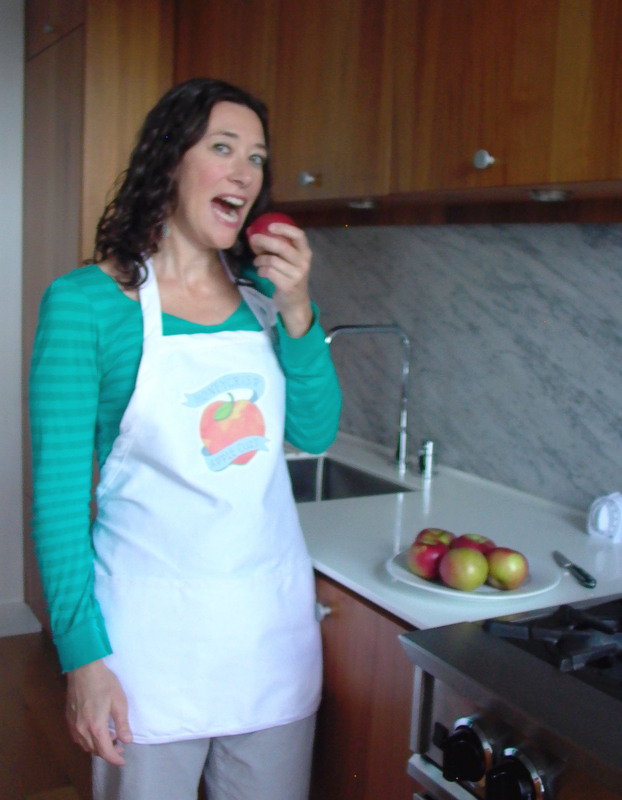 If you like to cook with a sense of humor, then check out my Foodietoo temporary tattoo designs applied to kitchen aprons. I am testing out this new product idea since the images in their original form were such a hit with my customers. My friends Beth and Philip allowed me to use their gorgeous kitchen as a location to take photos for use with the Etsy listings. Beth and I enjoyed figuring out the best angles, framing, and arranging the different foods for me to pose with. 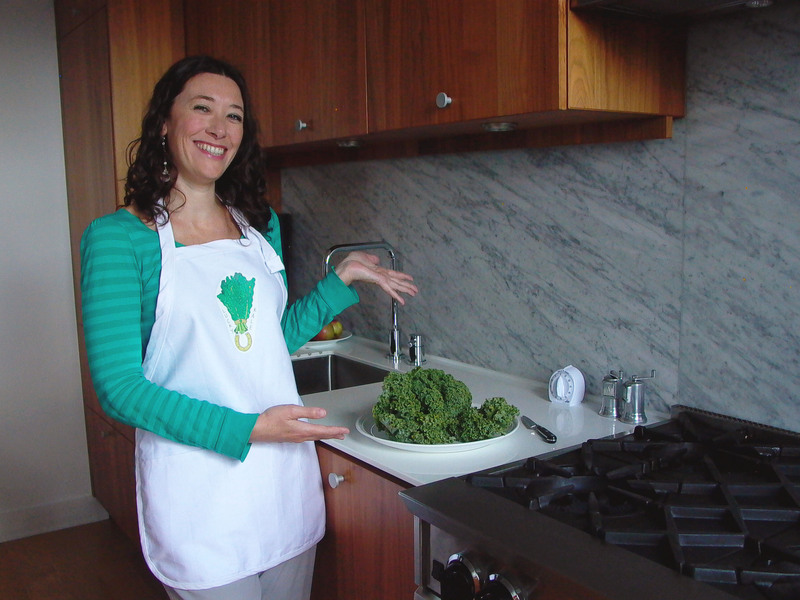 She happened to have cheese, kale, and apples at home, so we switched out the food whenever I changed aprons! The photos below are some fun out-takes from that day. Since the warm temperatures are with us once again, I’d like to remind everyone that sharing your love of food with one of my Foodietoos (temporary tattoos) is fun and entertaining! They are a conversation-starter at any barbeque or picnic. Just think: You could wear the Foodietoo equivalent of an ingredient in the salad or snack that you brought to the party! Wear “Lucky Kale” and bring a Kale Caesar Salad. Curate an artisinal cheese and charcuterie board with “Quel Fromage” on your arm. Procure laughs and paninis while displaying “Gluten Forever.” Foodietoos are the perfect summer accessory. I have also expanded the line to include greeting cards which have Foodietoos attached as gifts for the recipients. There is a “Gluten Forever” love card (inside greeting: I love you more than carbs themselves. ), and two birthday cards, one features “Quel Fromage” (inside greeting: Yep, it’s another birthday. But at least there’s cheese!) and the other, “Lucky Kale” (inside greeting: Wishing you lots of love, luck, and greens this year.”). I created my line of Foodietoos during the summer months of 2014, and in mid-August they first became available to customers. Now I have been selling them for about 9 months via the The Nancydraws Shop, and at a few craft shows I’ve attended during that time. With this project I’ve been able to show my talent of combining words and images while sharing my sense of humor at the same time. It has been so enjoyable to hear laughter and positive comments at the craft shows or after I show them to people that I have met. These reactions are just as affirming, if not more so, as when someone makes a purchase! So, check them out in The Nancydraws Shop! The tattoos are available individually or in a set of eight: Nuts-Seeds-Snacker, Lucky Kale, Love-Death-Yogurt, Gluten Forever, Honeycrisp Apple Cult, Love Links, Quel Fromage, and Quinoa Queen. 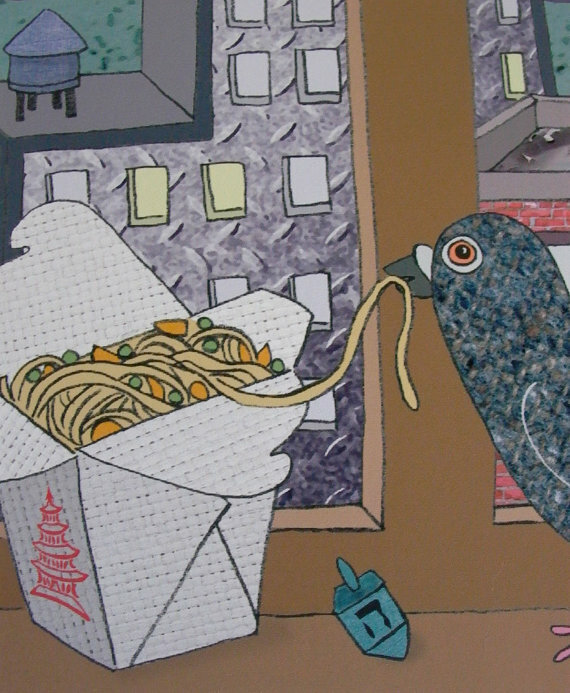 Percival eating noodles… a Hanukkah card available in The Nancydraws Shop. At last I may share details about the tools that I was testing when I participated in a small-scale market for employees only at Etsy HQ! That clever, crafty company now has their own credit card reader for in-person sales. The timing couldn’t be better for me, since I am just beginning to get out there to the craft shows with my illustrations and greeting cards. 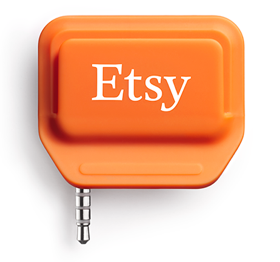 I can tell you from my experience that the tool works perfectly with the new Etsy Seller mobile app. When you have the reader attached and the app launched you are ready to take sales in person via credit card, or use it to record cash sales. A full list of your shop items are available and the app creates e-mail invoices for customers and (I love this part) adds buyers to your page’s list of followers so that they will receive updates when you post new products in your shop. There are many great features, and I’m very excited to receive mine in the mail… I ordered one today about 4 minutes after opening the announcement email! For more info and FAQ, click here to go to the Etsy site. It was all a mess when I began! If you’ve read the first installment of my September Craft Show Wrap-up, you already know that I enjoyed my first craft show experience! I didn’t want that post to get too long so here is a second one to describe more about gathering and creating my table display. When I was thinking about how to plan my craft show table for The Nancydraws Shop my main goals were to make it inexpensive, lightweight, and eye-catching, so this is where my creative problem solving skills and online research came in handy. At first I had no idea of my color scheme or even how I’d display any of my items until I purchased a couple of organizing bins at T. J. Maxx in a nice shade of green. I also had an antique gold card holder and since it can only display 6-8 cards I decided to look for some cardboard shelf-display boxes at the Park Slope Food Coop in order to have multiples available on the table. I found out that frozen burrito boxes were just the right size for my cards! I covered them with a matte gold wrapping paper that matched the antique gold card holder. 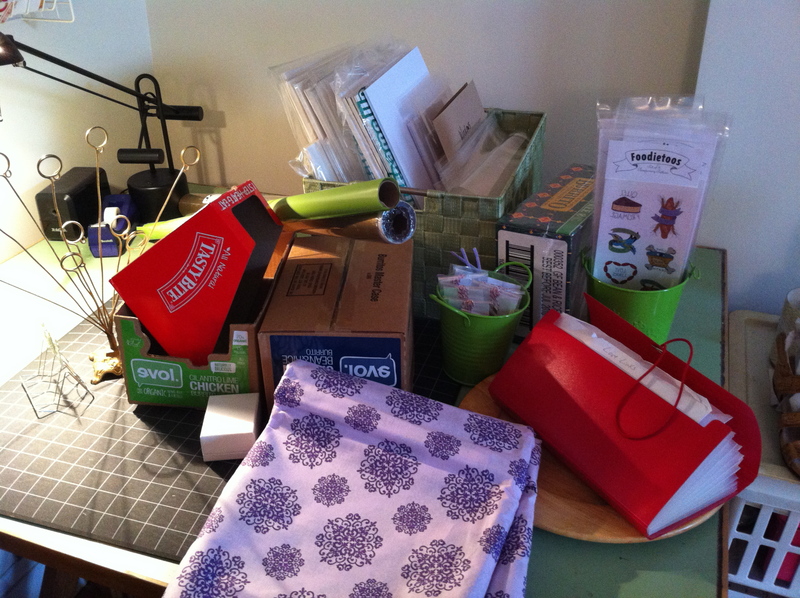 A week before the show I went into a dollar store near my day job and was lucky enough to find a sheet set with the perfect shade of purple printed with a fun but not-too-loud pattern for my table covering, and a couple of green metal buckets for some of my smaller items. Testing out my display at home, before I added signs. 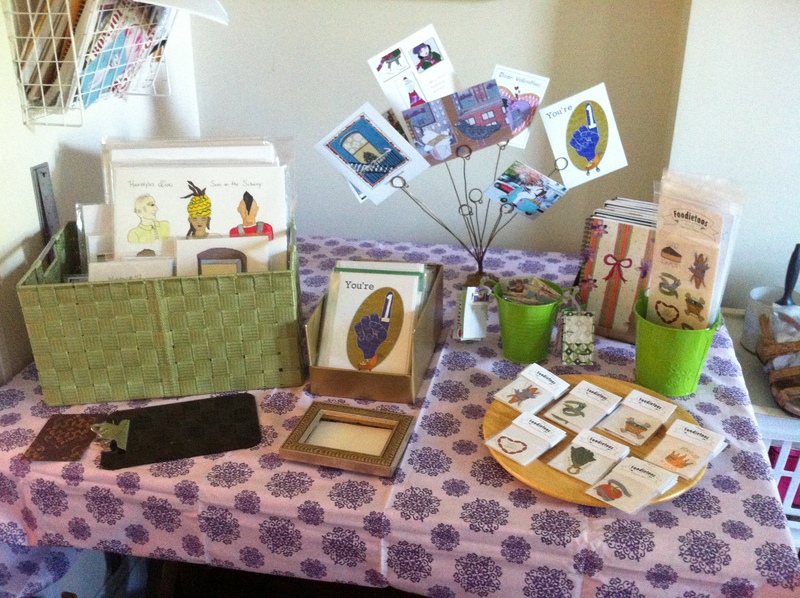 Towards the end of the end of my preparation process for each show, I added finishing touches; signs and price tags. I wanted to make all of the prices as easy as possible for shoppers to find so that they don’t need to ask. By using a couple of things I already had at home and re-purposing the boxes I didn’t have to spend very much on the display itself, the total was less than $40. It was light (I needed 3-4 bags to transport it all along with the items I was selling) and as you can see, very pretty and inviting. 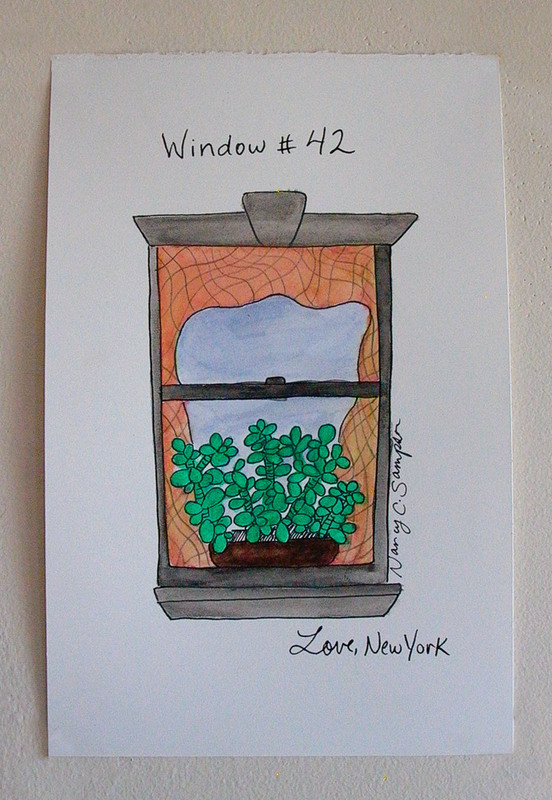 I’ve posted two new original illustrations in The Nancydraws Shop as part of the “Love, New York” series. Like the others in this group, I plan to create multiple original drawings based on the same designs as they sell, but I also offer prints at a lower price. 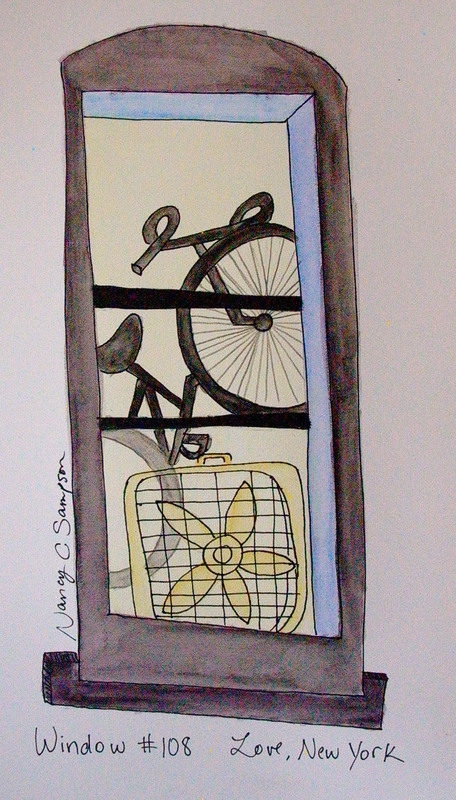 Its a little experimental as far as how most people relate to buying original art v. prints made from an original piece. Each original is unique in subtle ways; the color and line work vary slightly since I draw and color them at different times. The prints are based on only one of the originals. I have enjoyed many barbecues and lovely parties. I started looking around to see what other interesting things her neighbors kept in or near their windows. Some artistic license was taken, of course.